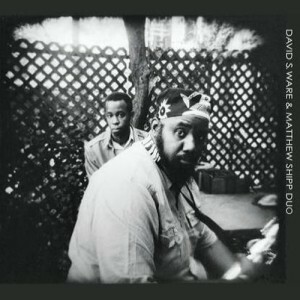 Pianist Matthew Shipp has recorded prolifically, but Signature is the first outing of his current piano trio. Joined by bassist Michael Bisio and drummer Newman Taylor Baker, Shipp thrives in this configuration, one of the most celebrated and venerable in jazz history. Indeed, taking the piano trio to new places seems tailor-made to his adventurous style and superlative musicianship. All of the pieces here are improvised first takes. The title track hews the closest to a more traditional approach, with post-bop chord voicings and engaging colloquy between the three performers. Pleasing twists and turns in the sequencing make for welcome surprises. The collaborators take solo turns that intersperse group ventures. Bisio’s “Deep to Deep” serves as an arco droning intro to “Flying Saucer,” in which the piano and bass lines are both nimbly played yet forcefully delineated while the drums provide a propulsive underpinning; a thunderous, virtuosic excursion. Baker presents a New Orleans inflected solo called “Snap.” As if to belie its lineage, the drum solo is followed by the group in a contemporary mindset on “The Way,” which begins suavely only to build to somber cadence points that sound like dissonant chorales. A return to delicacy allows room for Bisio to take an arcing solo, only to have it washed away by a stentorian oscillating pattern from Shipp. This encourages a convergence on an ostinato which builds the piece to a boisterous climax, with fleet soloing matched beat-for-beat by rollicking rhythms. “Stage Ten” features Shipp performing inside the piano against a swinging bass line from Bisio and drumming by Taylor Baker filled with fills. It is an arresting melange of modernity, both of the classical and jazz varieties, like Henry Cowell meeting Thelonious Monk. “Speech of Form” finds Shipp playing solo in a vein of chromatic, modally inflected jazz that he has mined before and returns to here with good results. “Zo #2” is an uptempo number that owes debts both to Bud Powell and Cecil Taylor. Shipp’s elegant pirouettes and unison octave lines are complemented by skittering drums and articulate bass. “New Z,” another solo, gives Taylor Baker an opportunity to use world music percussion alongside shimmering cymbals. The CD concludes with “This Matrix,” the most extended cut on the date, clocking in at more than sixteen minutes. Driving playing, with quick angular melodies punctuated by booming clusters, “This Matrix” is an excellent example of the trio at its best: ardent, musically sophisticated, and capable of turning on a dime. The piece builds to a tremendously dexterous double time section. It is followed by a languorous solo from Bisio that starts a long denouement, gradually reintroducing the entire trio in a coda of poignant delicacy. Signature is very much an album of 2019, in which jazz seems more capable than ever of acting in dialogue with its long tradition while simultaneously forging promising pathways forward. Shipp has a large discography, but each successive release captures the moment in which it lives, epitomizing the essence of improvised music. Recommended. Tenor saxophonist David S. Ware passed away in 2012, and he is sorely missed on the ecstatic jazz scene that he was pivotal in creating. While Ware’s discography is extensive, AUM Fidelity has released one more recording, Live in Sant’Anna Arresi 2004, which presents the saxophonist in an entirely different context: a duo setting with longtime collaborator pianist Matthew Shipp. Given their close and longstanding association, it would at first seem improbable that this was their only duo outing. Thus, all these years later, it is a gift to have it available for posterity. While both Ware and Shipp were able to improvise comfortably in many settings, they knew each other’s musicality intimately: there is an almost telepathic connection between the two that is demonstrated here. An example: While many pianists would need to be careful to stray clear from a saxophonist’s main registers, Shipp is able to navigate close-knit counterpoint with Ware, often in the lower octaves, that never swamps or constrains his lines. Rather, it seems to exhort even more power from Ware’s solos. Nor is Shipp an accompanist to the saxophonist; he is an equal partner in shaping the musical narrative, at turns propulsive and reflective. The two main selections of the date are titled “Tao 1” and “Tao 2.” This is entirely appropriate, as the yin and yang of ecstatic jazz discourse, the kinetic and the lyrical, are both present in these wide-ranging essays. The shorter “Encore” distills fervent energy that unleashes like a coiled spring, bringing the concert to a rousing conclusion. It is somewhat bittersweet to realize that there won’t be any more opportunities to hear these musicians in a duo context; it is still hard to believe that Ware is gone when his spirit looms so large in the ecstatic jazz milieu. Live in Sant’Anna Arresi 2004 is a moving and engaging release that is among AUM Fidelity’s finest to date. Recommended. 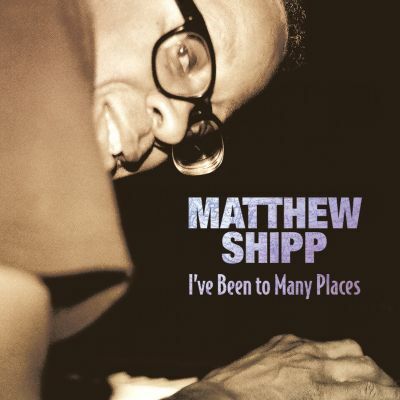 Pianist Matthew Shipp has recorded voluminously. Even with such a substantial discography, on his latest recording for Thirsty Ear, I’ve Been to Many Places, he shows himself still capable of sharing surprises. It isn’t in terms of wholesale changes of style or new technical innovations, but rather in matters of emphasis. Strongly, almost obstinately, reiterated harmonies abound. There are elaborate deconstructions of standards such as “Summertime” and “Tenderly,” and exquisitely wrought voicings are found on “Naima” and “Where is the Love?”. These are tunes that Shipp has recorded previously, usually in ensemble settings; the care the pianist takes to delineate these new renditions from previous incarnations is noteworthy. There are also several originals included in the set. “Waltz” has a breathless charm. “Brain Stem Grammar” supplies an appealingly swinging angularity. “Cosmic Wave” employs weighty sonorities and spacious verticals to stirring effect. “Life Cycle” displays a neoclassical grandeur, replete with passages in octaves and portentous bass lines. And “Blue Astral Bodies” balances Shipp’s interest in traditional elements of jazz grammar with his more outward bound excursions. I’ve Been to Many Places serves as an excellent introduction to this multifaceted artist. It will also be prized by those already familiar with the pianist’s work as an addition to his catalogue that points to new directions in his playing. It is exciting to contemplate where Shipp may go next: one hopes and expects that he will continue to keep us guessing. Christian B. Carey A WordPress.com Website.